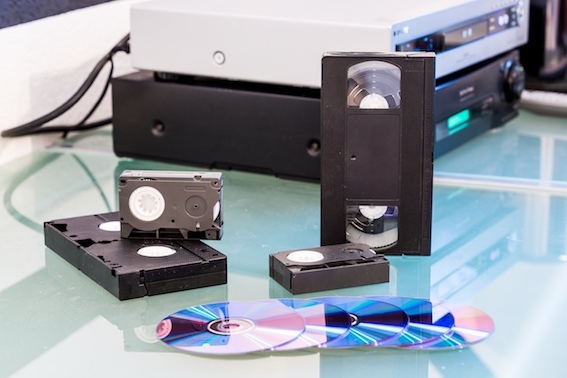 All of our video tape conversions are done using state of the art hardware and computer technology. Our methods accurately capture your footage giving an exact copy of the original source material. All tapes are checked for errors prior to starting the process. Completed video transfers come in a hard plastic case. We can also print any text of image on your disc for no extra charge. Full colour custom inlays are available on request. BULK DISCOUNT ON ALL TRANSFERS! Please select from the list below the transfer you require. You can mix and match transfers by selecting and adding them to your cart. We offer a 0.50p discount for each additional transfer in the same category! Even more savings when you have more than 10 items to transfer!